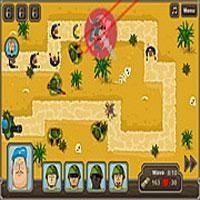 Click to strategically place your soldiers along the path. Upgrade your towers to whack more zombies. Remember to buy ammo before your brains become zombie.